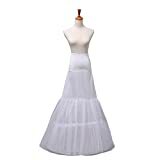 Perfect underskirts for bridal gown, prom,pageant evening party Dresses with train etc. NEW High Quality! Suitable for A-line / Ball wedding dresses prom dresses evening dresses wedding dresses!